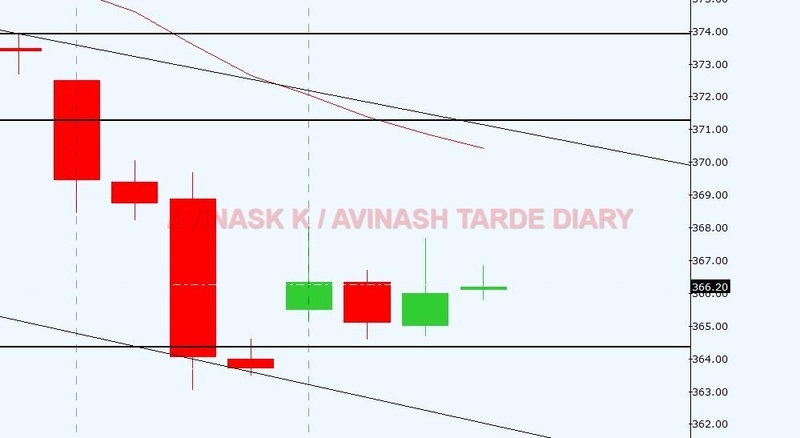 Weekly analysis of 2nd April mentioned about long bias and long trade in which stop loss hit. After hitting stop, to en cash the breakdown trade we initiated sell trade which fallen beautifully but after hitting our stop order. Now trend on monthly is up to sideways with weekly, daily and 240 min trend down with intact down trend line. Currently 365-363 level acting as some support where we aggressively have initiated long trade with stop below 363 and target of 369. Around 371 level we will plan short trade with stop above 376 for the target of 360-350. OI analysis is suggesting addition of short position in system.